The driver was okay, but we can't say the same for the car. 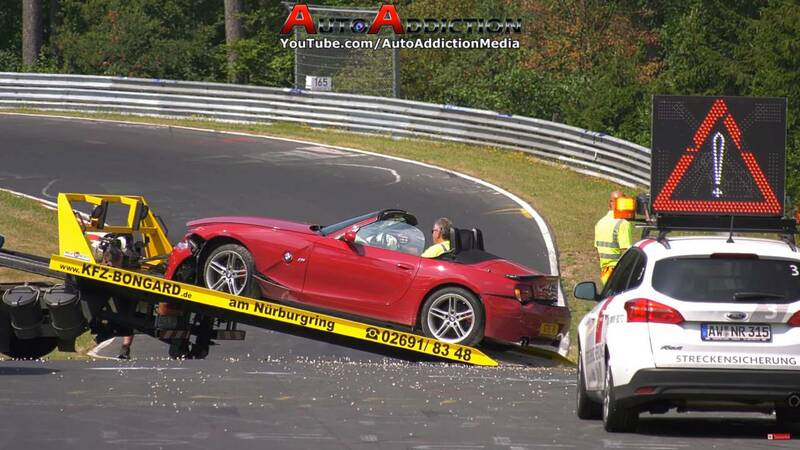 Another day, another victim at the Green Hell. 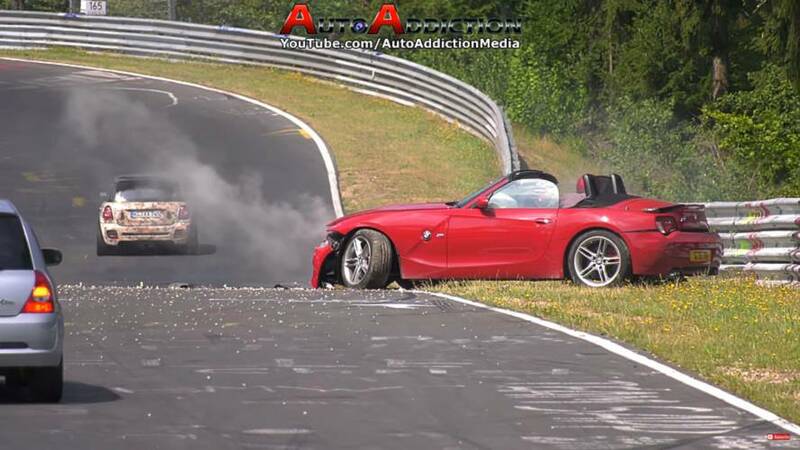 This time around the trackside cameras from Auto Addiction on YouTube captured the moment when a BMW driver carried a bit too much speed into Brünnchen, which Nürburgring fans will instantly recognize as one of the most crashed corners on the Nordschleife. It starts downhill with the first right but to set up the next section drivers need a late turn-in for the second right-hander. Obviously, this driver – who exited the vehicle and was okay – pushed that turn-in just a tad too hard. There didn’t appear to be any mechanical issues or cornering miscues ahead of this crash. 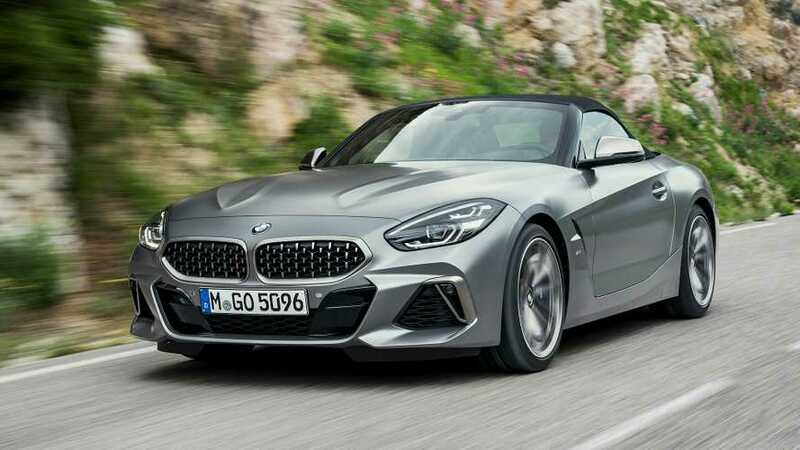 The Z4 M Roadster simply understeered into the gravel on the outside of the corner. Once in the gravel, the driver was basically along for the ride but instead of just bleeding off speed, the gravel set him sideways. Perhaps if the driver was a bit quicker to correct the skid things would’ve worked out for the better. Instead, the Bimmer gets punted across the track and goes head first into the wall. It’s easy for us to play armchair race driver from the comfort of our offices, but gravel can be quite unpredictable, especially when the car is going fast enough to basically bounce through it. 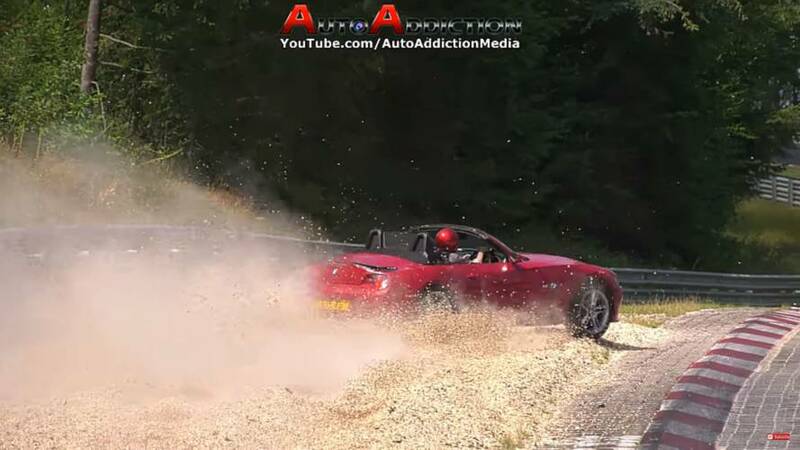 The force of the gravel and all that momentum was enough to rip the Z4’s rear fascia off; trying to correct a wayward backside in those conditions would basically require a superhuman level of reaction. If there’s any good news here, it’s that the car might be repairable without a tremendous effort. Fascias are easy to replace, and though the video doesn’t let us see detail, damage up front appears to be contained to the crumple zones. We’re still talking an expensive repair bill – especially if the driver’s insurance doesn’t cover track time at the ‘Ring. But If the unibody isn’t all twisted, the fix should be pretty straightforward. As always, we’re happy nobody was injured. In the quest for speed there will always be some mistakes – when that happens just take what you learn and live to race another day.